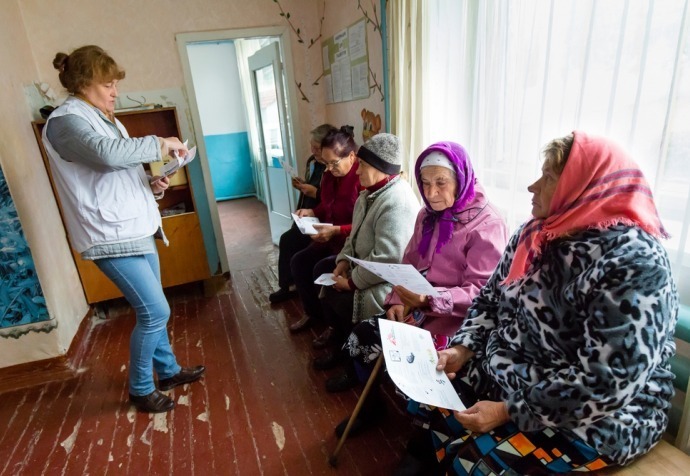 Valentina Viktorovna is a 52-year-old teacher who has seen her life torn apart by the ongoing conflict in eastern Ukraine. 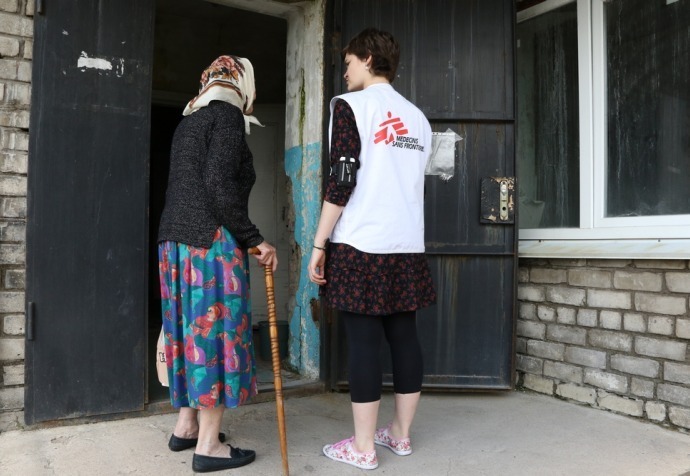 She lives in Pavlopil with her husband, a village located only few kilometers away from the contact line. After losing her job, her house was repeatedly damaged by shelling. Valentina and her husband are receiving medical care from Médecins Sans Frontières. In addition, Valentina has also attended mental health counselling in order to cope with the stressful environment she had to live in for the past two-and-a-half years. “All my memories are in this village, it is here that I have built myself a life and raised our two sons with my husband. It used to be such a beautiful place; people would come here to spend summer time alongside the river. There was even a plan to build a tourist resort. Then the conflict started. I used to be a teacher in the village primary school. I loved my job. I kept all the drawings and pictures from my pupils. I was forced to retire when they closed the school. It became too dangerous for the children to stay as shelling was happening close by. So now, at only 52, I am already retired. Fortunately, my husband still has his job at the factory. "This is how I find meaning in this new daily routine: assisting others." I can’t get used to it, to this slow rhythm. If I had to compare it to something I would say I was like a high speed train that has been brutally stopped. So now I keep myself busy with volunteer work here and there, go and meet the other families from the village and see how I can be helpful. This is how I find meaning in this new daily routine: assisting others. There has been so much shelling near the house, so it is very damaged. It looks like it is going to fall on us. I can still remember the first time - the noise - and how everything was trembling around us. I was so afraid, picturing ourselves rushing out of a completely destroyed house. Luckily enough, the house is still standing, but it will take us time to fix it as we can’t afford to pay for the repairs.